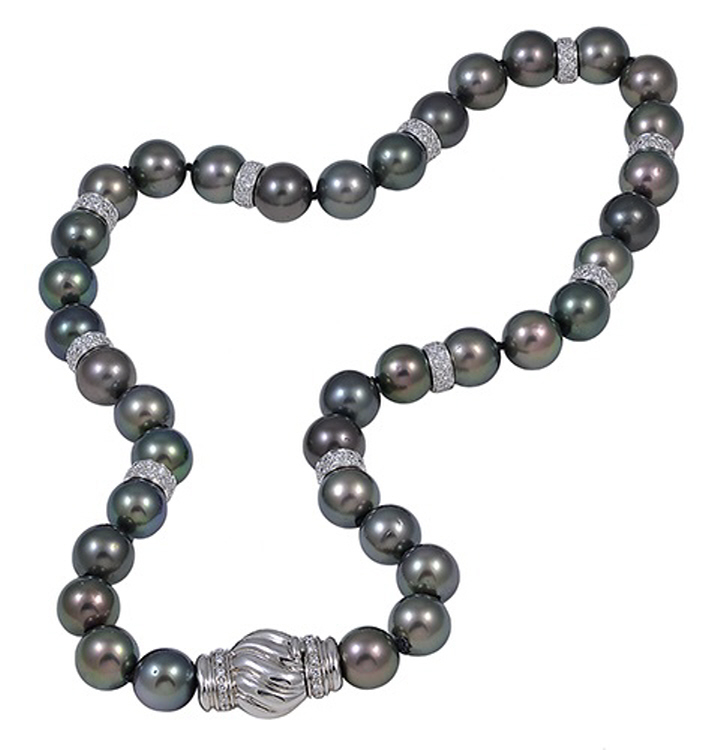 Black South sea pearl necklace with silver and 10 diamond rondels and clasp. Strand consists of 37 cultured South Sea Pearls each measuring 10-10.5mm, with 10 diamond rondels and an 18kt White gold diamond clasp together with approximate diamond weight of 3.50 carats. Necklace measures 18 inches.